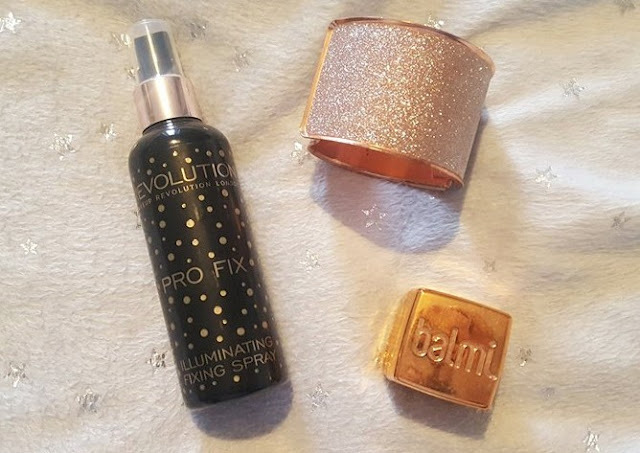 I was very fortunate to be sent a parcel from the lovely team over at Tam Beauty, which included the Fast Love palette from I Heart Makeup and some love heart sweets over Valentine's alongside a new release, the Pro Fix Illuminating Fixing Spray from Makeup Revolution. I've been previously sent the Fast Love palette from the PR Team and therefore decided not to mention it because I'm pretty sure it's among the blog posts on A British Sparkle and therefore I gifted it to my now very happy Mum. 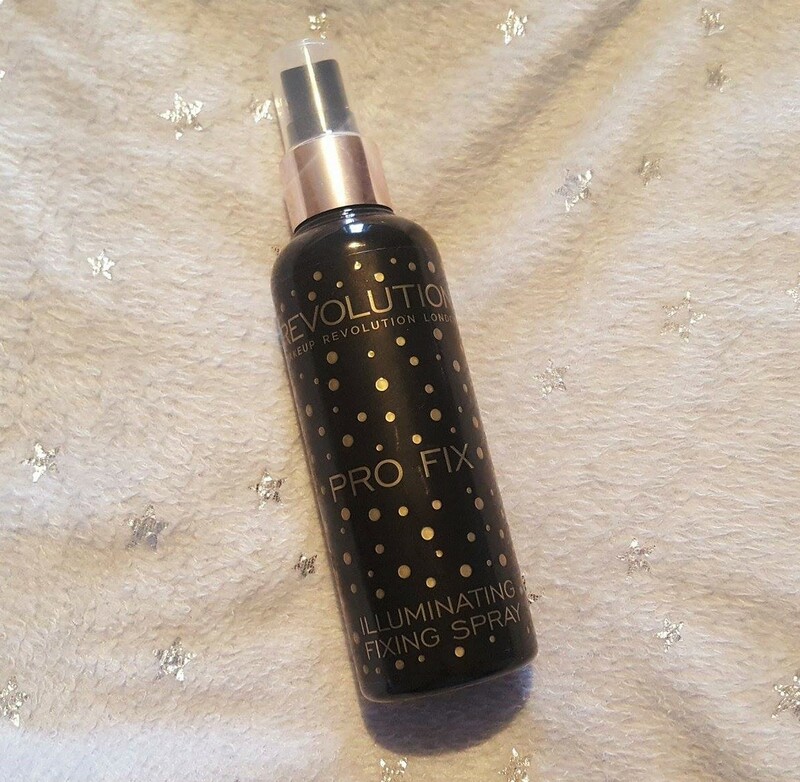 The Illuminating Fixing Spray isn't due to be released until the 6th of March and is therefore quite the exclusive at the moment. Keep a look out on the Tam Beauty website for the official release and price details. The first thing that stands out to me compared to other products from Makeup Revolution is definitely the packaging. Unlike other products from the brand, this is housed in a shiny black bottle and decorated with rose gold spots. I feel this colour scheme is more fitting to the brand and works better than the usual white we've come to see. Packaging aside, this is an illuminating spray with light-reflecting particles that creates a natural glow and keeps your makeup in place. It contains aloe vera and vitamins A, B, E and F to help hydrate and brighten your skin making makeup last longer and prevent fading. Honestly, I can't make out any of the light-reflecting particles that are meant to be in the product - I'm unsure if that's just the absolutely awful bad lighting us British folk are getting the displeasure of experiencing at the moment or it's so subtle that it's really hard to make out. The mist is very light in texture and sits lightly on the face and also dries very quickly too. I found my makeup sits in place completely fine and the only issue I found is that if you apply the fixing spray not long after mascara is applied this can make it run ever so slightly. I'd recommend you wait until the mascara is thoroughly dry or you use a waterproof mascara instead. The scent is a very subtle almond and reminds me of a Bakewell tart. If the smell of almonds isn't up your street then don't be too worried about the scent because it really doesn't last at all. The illuminating spray sounds like an amazing product - I think it would provide more even coverage for that dewy look than a traditional stick or cream product. Will have to check out Tam Beauty - and see if their products are available in my area. Thanks for sharing!